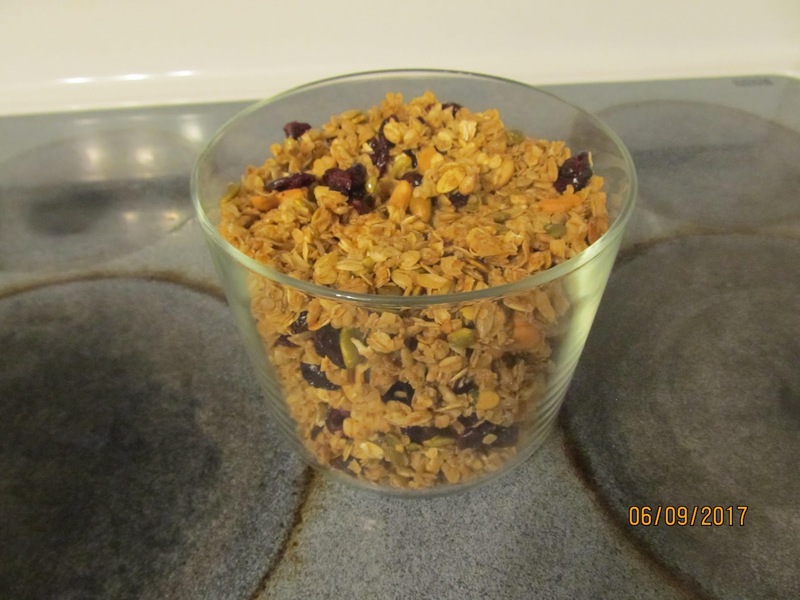 This is a easy granola snack that will even have the the finicky eaters wanting more. 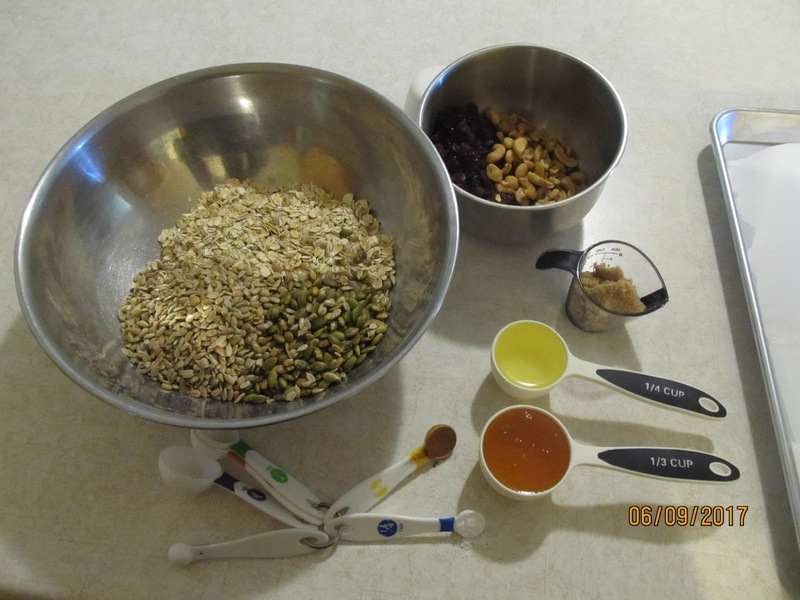 oats,sunflower seeds and pumpkin seeds. 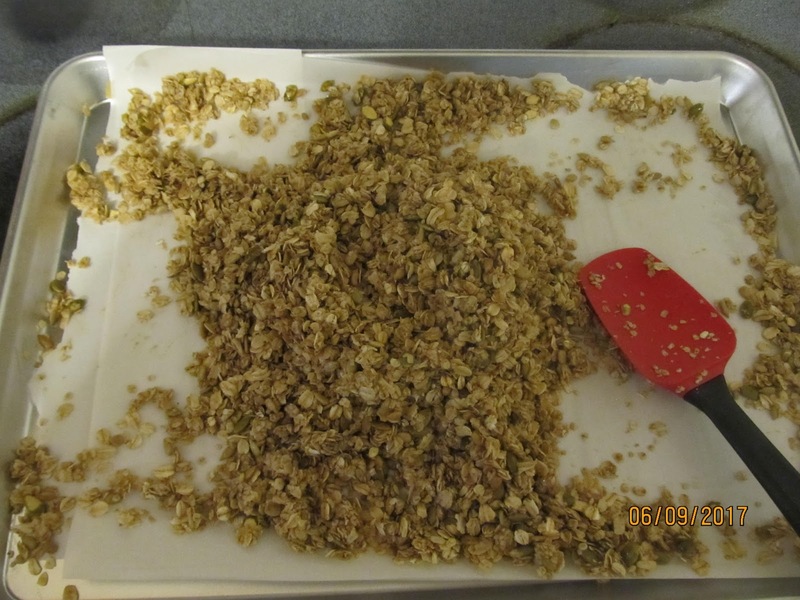 Using a rubber spatula, spread granola unto the parchment lined cooking sheet and spread evenly. 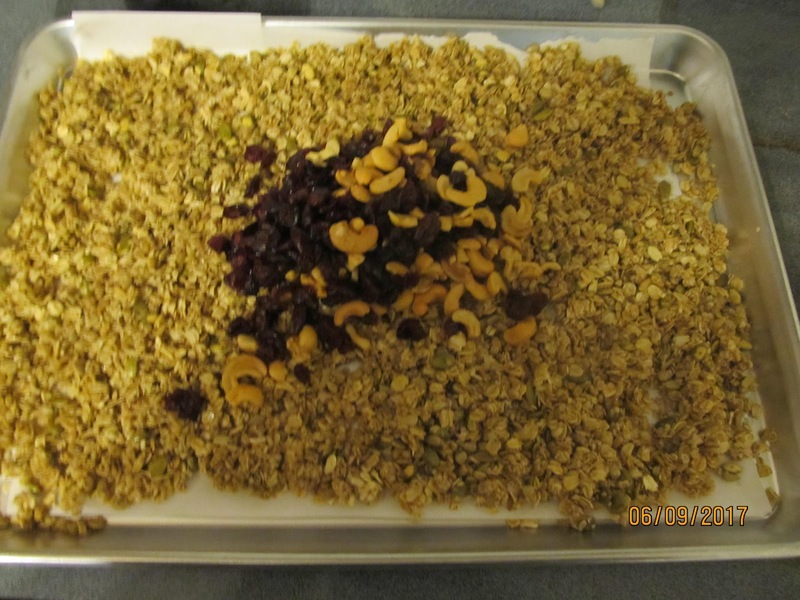 place granola back in oven and cook another 10 minutes, remove granola and stir once more only adding the cashews and craisins, stir. 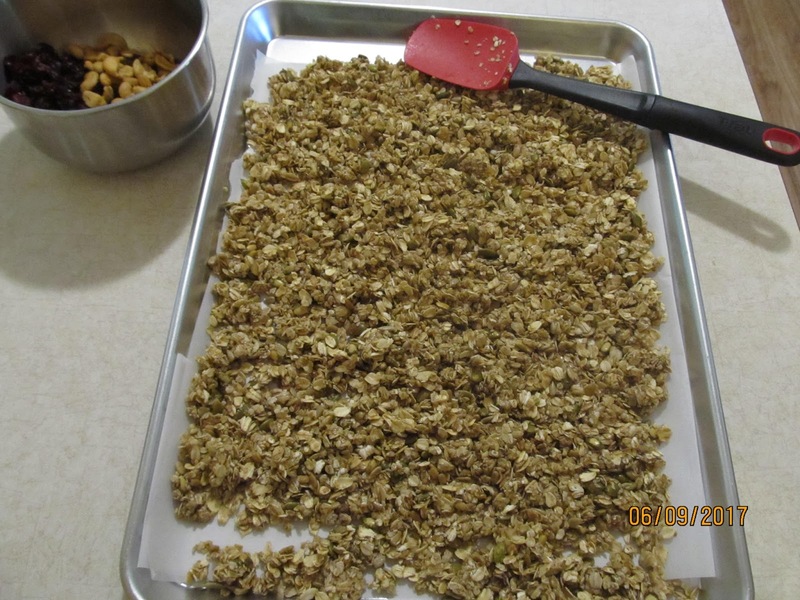 Remove granola and allow to cool for 15minutes, or until cool, and stir again. If you can resist staying out of it, store in a zip lock bag until your ready to eat. 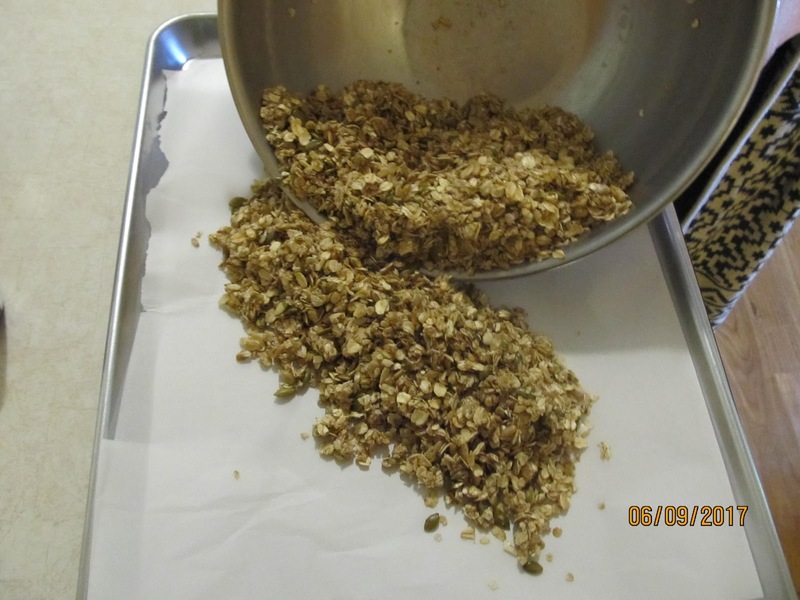 We always have this granola on hand and its great as a cereal too. Can I come to visit and give this a try…sounds yummy! Oh, this sounds good! I saved it on Pinterest so I can make some later. I will try to make this or a variation if I can find the ingredients.